The Chier story is a compelling one. I am shocked (but pleasantly surprised) he is coming back, I just figured as soon as he went back to Australia that was going to be it for him. So he should be eligible around December 15? When does WCC play begin next year? NoPoNeighbor wrote: If he becomes eligible half way through the year, when does his eligibility end? Half way through a fifth season? Or at the end of a fourth? I think 2016-17 would count as his freshman year and he'd have a full three seasons after that. Dean Murdoch wrote: So he should be eligible around December 15? When does WCC play begin next year? The WCC schedule is unknown until August, but league play will not begin until after Christmas this coming season....probably around December 29. Less clear is if he'd have a redshirt year left. Geezaldinho wrote: Less clear is if he'd have a redshirt year left. Yes, because of Chier's unique entry status at UP due to his lack of previous formal education, his redshirting comes with certain academic hurdles he must meet. So far those hurdles have been cleared by Chier in his one summer and fall at UP. Even with redshirt eligibility, the most semesters Chier could play at UP is seven....so his eligibility would be done at the end of the 2019-2020 season. But will he be around that long?? As important as an education is to Chier, it is even more important for him to get family members out of the conditions they currently live in. If the UP coaches can develop Chier's talent as we hope they can, Chier could end up playing professionally within a couple of years....some are speculating that he will not be playing in Europe or Australia, but in the NBA. Exactly. 19-20 is four years from when he starts playing. So, not room for a redshirt year. And during his enrollment, he must maintain progress toward a degree. In his case, he also has to show he meets academic college requirements for one year from enrollment as a full time student. Since he wasn't here this semester, he still can't play for a semester. His clock started when he enrolled. From that point, he has five calendar years, exactly, to play. The number of semesters really isn't pertinent in Division 1. Ten semesters is a more liberal D2-D3 version of the eligibility clock. In division 1, The standard is calendar years. You only get five. He enrolled first semester 2015. At the start of first semester 2020, he is done. 14.2.1.1 DeterminingtheStartoftheFive-YearPeriod. Forpurposesofstartingthecountoftimeunder the ve-year rule, a student-athlete shall be considered registered at a collegiate institution (domestic or foreign; see Bylaw 14.02.4) when the student-athlete initially registers in a regular term (semester or quarter) of an academic year for a minimum full-time program of studies, as determined by the institution, and attends the student’s rst day of classes for that term (see Bylaw 14.2.2). <edit> why is cut and paste from the NCAA PDF so weird? DoubleDipper wrote: It might have just been my wishful imagination, but Philipp looked like he's added quite a bit of strength and size in his shoulders over the last couple of months. Nope, it was not my imagination....Philipp looks to be a totally different person upper body wise...he's ripped and weighing in at just about 250 pounds....20 to 25 pounds more than the end of the season....and it appears to be all muscle. I admit I've generally been a little down on Philipp because of his lack of work or effort to become a better player. After the graduation of Thomas, Riley, and Voldy, it seemed Philipp considered the job to be his and he did not dedicate himself to earning the starting job. He played on the German National team last summer, but did not attempt to get strong. Rev's staff and now TP's staff have been very strong in pointing out to him the error of his ways, and he's apparently taken it to heart. IMO Philipp will not be an offensive force at UP, but with his developing body and the desire to learn how to play basketball, he will be a good WCC center....especially on defense, after remaining in Portland this summer. My 5th grade CYO coach said we shouldn't build our muscles because it would ruin our touch on our shots. So I never built any muscles. Strangely, I still never had any touch on my shots. DoubleDipper wrote: I think we'll see a lot more playing time from Jackson. I still consider him to be the best athlete on the team and a guy who can really go up and grab rebounds and find loose balls. Jackson got very little playing time last year and was the other student-athlete, in addition to Todd, that I predicted would transfer, but with the new staff I think he may find a renewed hunger for basketball and he certainly should see increased playing time. Finally had a chance to talk to Rashad....Yes, he was definitely planning to transfer if there had not been a coaching change. He's looking forward to a good summer of development and a renewed sense of purpose come fall. DoubleDipper wrote: 3. Smoyer and Monson are still committed to attending UP. Spent some time with a former D1 player who has scrimmaged with Smoyer recently....he says he needs a lot of work and physical development to become a D1 player. As some may recall, Monson has been on his LDS mission in Ecuador where the devastating earthquake has killed over 500 people....and the toll is still rising. The LDS Church in Salt Lake has said that although a number of LDS church leaders and members have been killed by the affects of the earthquake, all of the missionaries (over 200) have been contacted and are OK.
Ecuador's largest city, Guayquil, is where Alec has been based, and even though it was a number of miles from the quake's epicenter, they lost all electrical power, a large number of buildings there have been flattened, and people of have died. I would imagine Alec will have some stories to tell when he arrives on campus for summer school. Haven't seen this posted here yet, but looks like Alec will be entering the NBA draft. He's not hiring an agent however, and most likely will be back on the Bluff next season. The Clippers called, how soon can he get to L.A.? DTLegend wrote: Haven't seen this posted here yet, but looks like Alec will be entering the NBA draft. He's not hiring an agent however, and most likely will be back on the Bluff next season. The worrier in me is coming out here. Alec is criminally underrated outside of the WCC, and I could easily see him doing very well at this camp. Good for him though, I think it's an outstanding move for him to test the waters. An interesting addition is the aforementioned Devin Watson transferring from USF.....Watson ranks #4 in Goodman's top 10 transfers. Watson, originally from the San Diego area (El Cajon) is apparently considering Cal, UNLV, San Diego State, Fresno State and Kansas. 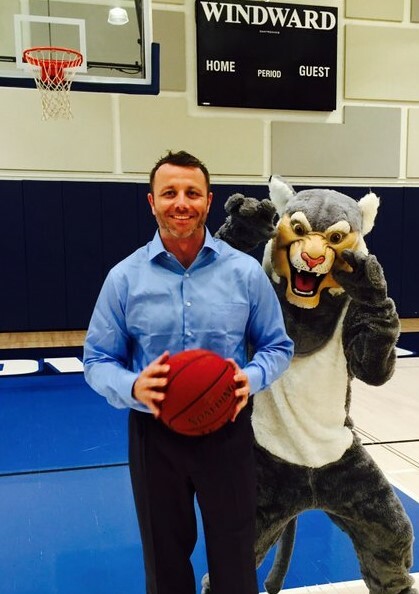 Coach Pfaff has been the head coach at the community college level in the past, and has been offered other such positions, but this was apparently too good to turn down. Windward is a private high school in west LA that has won a number of state championships in various sports, including boys basketball. The previous coach quit in mid-season and his successor decided not to return, so this could be a school that puts a lot of pressure on its coaches. Also, there have been questions about some of the team's players returning next year because of the coaching change....sounds a little too much like college. One of the players on the team is Shaquille O'Neal's son. The school has 44 teams, six full-time coaches, 2 full-time athletic trainers, and 30–35 part-time coaches. The school's athletic teams have won California State Championships in several sports. In 2008, the boys varsity teams won the CIF Division VI championships in both soccer and volleyball. In 2011, both the boys' and girls' varsity basketball teams won the CIF Division IV State Championship. In 2009, the boys' varsity basketball team won the CIF Division V State Championship. In 2012, the boys' varsity volleyball team won the CIF Division III SoCal Regional Championship (the highest level of state competition for boys' volleyball). Good luck to coach Pfaff. The school has the AD, three associate athletic directors, and a AD for external affairs, a training staff of two, and a strength and conditioning coach(??). Long way from Coach Bauer and no one else at my HS. Oh yeah, tuition and fees are just under $37K, pretty close to UP's tuition. Yikes! Windward School is 4 miles from the beach, near Santa Monica. Hope he can find some reasonable domicile options. up7587 wrote: Windward School is 4 miles from the beach, near Santa Monica. Hope he can find some reasonable domicile options. Everything you guys have said is true including the pressure to win at Windward. This is a legit coaching job, especially if you can win and sustain the expectations of the boosters and administration. I know Colin is up for the task, he is a class act person and an excellent coach. Plus he and his future wife will love living in that area. If Coach Porter has a way of encouraging this young man to come to UP, it could be an honest-to-goodness game changer for the Pilots. Come on Coach, let's put on the full-court press to get this son of a Pilot!! Wow! Didn't see that one in the other thread. It's now been several days since Malcolm Porter announced he'd be attending UP. But no official word from UP about it, and I think a strong assumption could be that's because there was no NLI signed. And if he didn't sign an NLI, that would be an indication that Malcolm is walking on and there's still one scholarship available. And if there is one scholarship available, I certainly can't think of a better way to use it than on a Kameron Chatman transfer! NBA Combine invite list out today. No sign of Wintering, so I guess we'll look forward to one more year of watching one of the most talented players we've ever seen in a UP uniform. I for one am a fan of Chiles' clean, sleek design (I guess it would now be considered "old school"?!)... The center logo and text around the edges really pops. For the record, I am glad we have not gone the route of the large images or designs. 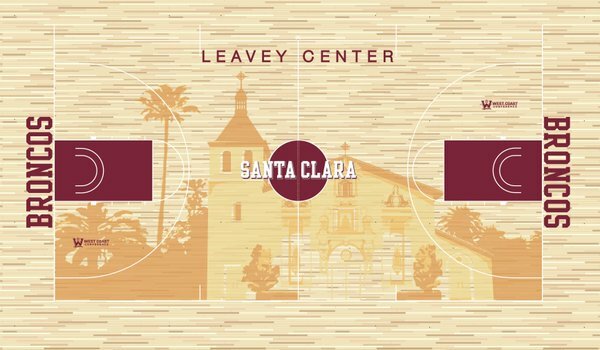 Also, I find it odd that the court so clearly states "Leavey Center", right above an image of a different campus building? Dean Murdoch wrote: NBA Combine invite list out today. No sign of Wintering, so I guess we'll look forward to one more year of watching one of the most talented players we've ever seen in a UP uniform. No sign of Domantas Sabonis either, but he was invited. It's speculated his agent advised him to avoid the Combine for various reasons, but in truth, he's probably talked to a number of teams that will hold a position beyond the top 8 or so, teams he would prefer to play for, and he is pretty much guaranteed to be picked in the first round with guaranteed money. He may not be the best college player in America, but I'm convinced he'll eventually be an NBA All-Star. He was certainly my favorite WCC player to watch this past season. Kyle Wiltjer will attend....I personally think he needs to do very well to get drafted. It is no surprise really that Przemek Karnowski, at one time predicted to be an NBA first rounder, was not invited. Injuries have hindered his development to some extent....and there is probably at least a 50/50 chance he'll return to GU for his redshirt senior year, IMO.